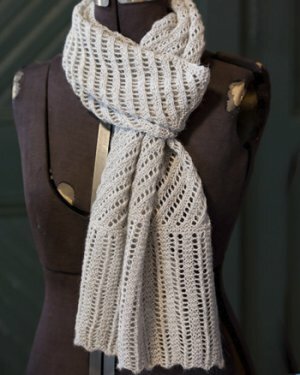 Taken from Classic Elite Pattern Books - 9149 Panache: An easy to knit scarf with beautiful eyelet stitches. This pattern is in Classic Elite Pattern Books - 9149 Panache, page 16. Size US 4 straights are required but not included. Finished Measurements: 10.5" wide x 72" long. Color Shown is #6403 Steel.